Teaching students to pray the Rosary is vital to raising children in the Catholic faith. It isn't always easy for young children to memorize since it is lengthy. I like using rosary lapbooks as a reference resource. I also like to get children up and moving with a walkable rosary. This is perfect with nicer spring weather in the month of May, as we honor Mary. It can also be made on a shower curtain so it can be used inside all year long. 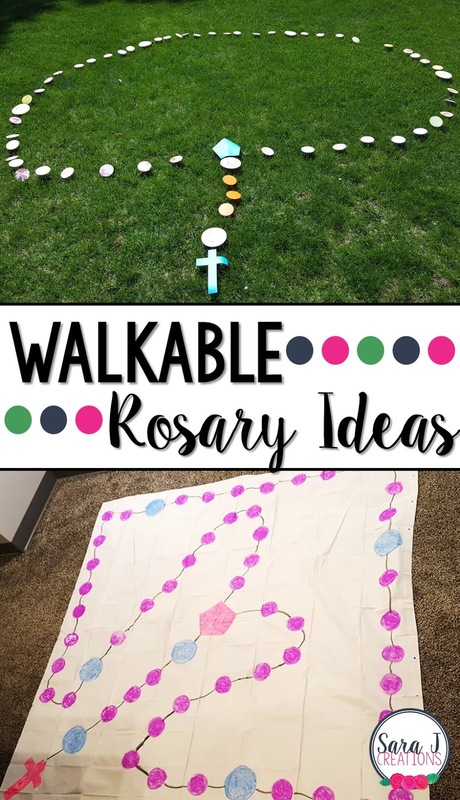 To learn more about how to make and use walkable rosaries, check out my post, Walkable Rosary Activity and Printable, on Today's Catholic Teacher website.